No wonder that digital or picture documentation of surgical procedures and live operations are increasingly gaining importance. We provide you with all the equipment needed to meet this challenge: camera, monitors, routing, streaming, storage or whatever - we are your competent partner in the field of OR telemedicine. We bring observers, students or external consultants to the operating table as close as possible - wherever they happen to be at the time. The HD camera technology offers you superior resolution and thus precise representation of even the finest tissue structures. This supports the visualization of tissue changes by the surgeon. These days the operating surgeon needs not even be present in the operating theater to give the correct instructions. But wherever he is - he needs a clear view of the procedure. With a focus on the surgical site. The KLS Martin digital camera system was developed specifically for live teleconsultation via camera. It provides demonstration material for training purposes and provides comprehensive patient documentation. 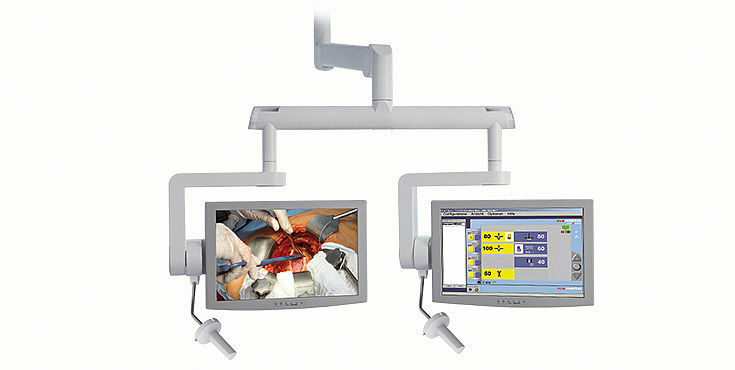 KLS Martin offers flexible suspension arm systems for TFT monitors to be used in conjunction with operating lights and ceiling pendants. They impress with a wide range of movement, height-adjustability and ease of operation by means of replaceable sterile handles. The advantages of a monitor plus suspension system combination are high mobility, light weight, and optionally available stop-free suspension. First-class image quality is guaranteed by high resolution and a high frame rate. The advantages of a monitor plus suspension system combination are in fact easy to see: high mobility, low weight, plus easy handling thanks to an optionally available stop-free suspension. First-rate image quality is guaranteed by high resolution and a high frame frequency. 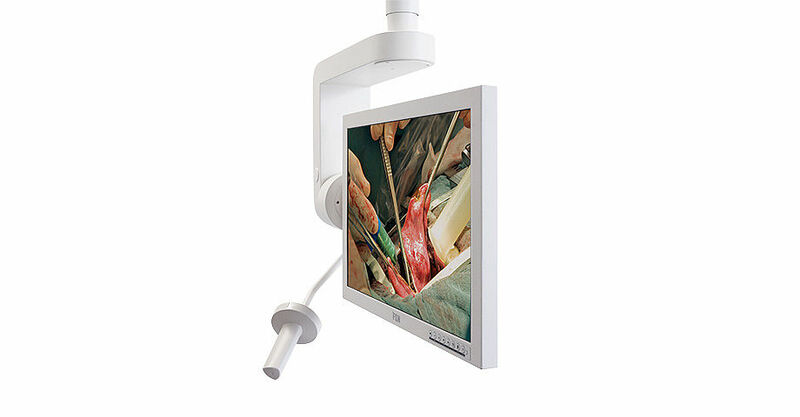 Together with advanced interfaces for digital data transfer, this satisfies the highest demands in terms of image sharpness and fidelity, especially in endoscopy. 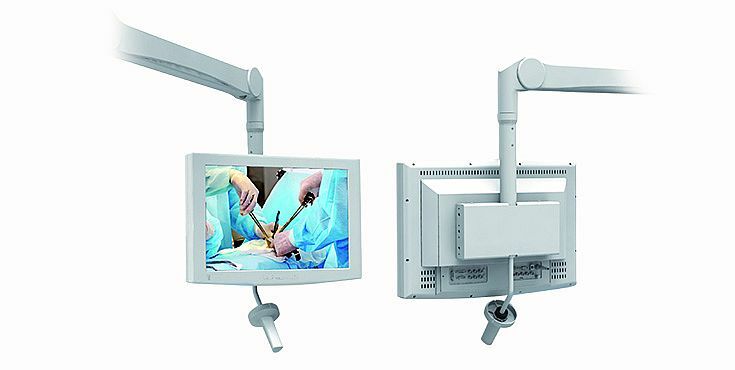 Monitor size up to 42"
We offer various components for the further processing of video and image signals of endoscopes, arthroscopes or ultrasonic devices. The universal control unit, optionally available as a desk version for equipment trolleys, wall-mounted version, or mounted on a CSU or standard rail via a VESA interface. 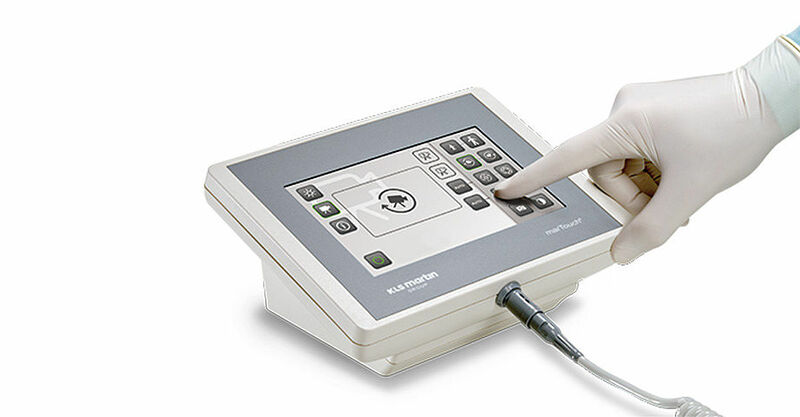 All functions of the camera and the lights can be controlled with the marTouch®, regardless of light series or camera version. A light touch operates the functions on the integrated touch screen. The modular design of the ScaleOR offers the user the flexibility of selecting the appropriate input modules according to his requirements. This includes the option of incorporating analog or digital signal conversions. Following conversion, several HD video output formats are available simultaneously. The scaled output format can be selected via a dip switch setting or via an on-screen display menu. Users can access extended functions such as RGB gain, brightness, contrast, color shade, saturation, zoom, etc. via the on-screen display menu. Our systems can be fully integrated into the Karl Storz, Olympus, Richard Wolf and Brainlab systems.